Sometimes jobs are useful, so I’ve had a few dozen of them. But I have a confession to make: There’s no job in this world that I actually want. If you’re one of these “unengaged” employees, you might wonder what you should do. But before you skip down to number 11 on this list (quitting), take a look at ten other things you can do to make your crappy job better. When I was in management at a restaurant (I hate restaurant work), I struggled for hours to make the week’s work schedule while also overseeing a crew of minimum-wage kids. One day, I took the schedule home, finished it in an hour and entered three hours on my time card. I did the same thing every week after that. The owners accepted it because of the big savings they got from my more efficient scheduling. As long as you keep your employer’s primary goal in mind (profit, in case you weren’t sure), you may be able to make changes in what you do or how you do it. Look for opportunities to make your work more tolerable, and tell your supervisors about the benefits the company will receive from the change. I’ve previously written about how to use a job as business training, which you can do with most positions. Even after all these years without a restaurant job, I still feel I know enough to start and run my own restaurant. Of course, if you eventually start a business you’ll be taking on more responsibility and possibly risking your life savings. So you should probably use this strategy only when you dislike your employer and/or want to run your own business, not when you hate the work itself. Eighteen years after quitting my job as a blackjack dealer (I hate casino work), many of my previous co-workers are still good friends. Your workplace is a great spot to meet people and build relationships. But it’s more than that. Several studies have shown that having friends at work is good for you. One study even shows you might live longer if you have good friends at work. Another report says 10 % of people meet their spouses at work. I never liked working as a blackjack dealer, but I kept that job longer than any other because the pay kept getting better. Making more money makes any crappy job more tolerable, so see my post on how to get a raise. Of course, there are other ways to make more money from work, as suggested by the next two items on the list. At previous employers, I’ve seen coworkers sell eggs and other household products at work, and a few that even handed out business cards for side hustles they operated. Depending on what your employer will allow, there are many other things you might be able to sell to co-workers. For example, jewelry-maker Rena Klingenberg has written about how to sell jewelry at work, with tips for putting on a “jewelry trunk show” during lunch or other breaks. I paid off my first mortgage by renting rooms in my home, and my places of employment were great for finding renters who weren’t complete strangers. I learned how to flip cars for a profit from a coworker, and even sold one car in the work parking lot. I also profited from loans made to co-workers (at least I knew they had jobs). After working part-time for an investor fixing up houses, I started loaning him money at high interest rates for homes he was flipping — and made far more money from those loans than I did working for him. Talk to your co-workers and you might discover an opportunity or two. Maybe one has a great business idea and needs your help, or another knows about a great investment. Networking helped 41% of workers find their new positions, one survey found. What better place to start that process than right where you are? I’ve found at least two jobs by talking to people at work. Your fellow employees might have heard about job openings, but that’s just a start. Talk to suppliers, clients and anyone else you come in contact with through your job. You don’t have to blatantly suggest you’re about to quit, but you can ask about the places people work and what’s happening there. My dozens of jobs (and 100 other ways I’ve made money) have provided a lot of material for my posts, websites and books. If you’re a writer, you might use your work experiences for either non-fiction works or as an inspiration for fictional stories. In Scott Adam’s Dilbert comic strip, Wally was based on a real coworker from Pacific Bell. A crappy job might even inspire a great novel. Maybe you just take your job too seriously and work too hard. That crappy job might be more bearable if you just do less. Decide for yourself about the ethics of this approach (I would quit rather than not do the work), but Susan Adams has some practical strategies for how to get paid for doing nothing in her Forbes column. I’ve convinced several employers to cut the number of days and/or hours I worked. Once, I cut my schedule from five days to one day per week for several months. I offered the arrangement to my employer as “take it or lose me.”. You probably shouldn’t just walk into the boss’ office and yell, “Take this job and shove it!” Of course, if you remember that song, you might be old enough for retirement, but even then it may be better to leave gracefully. So use my guide to how to quit a job. 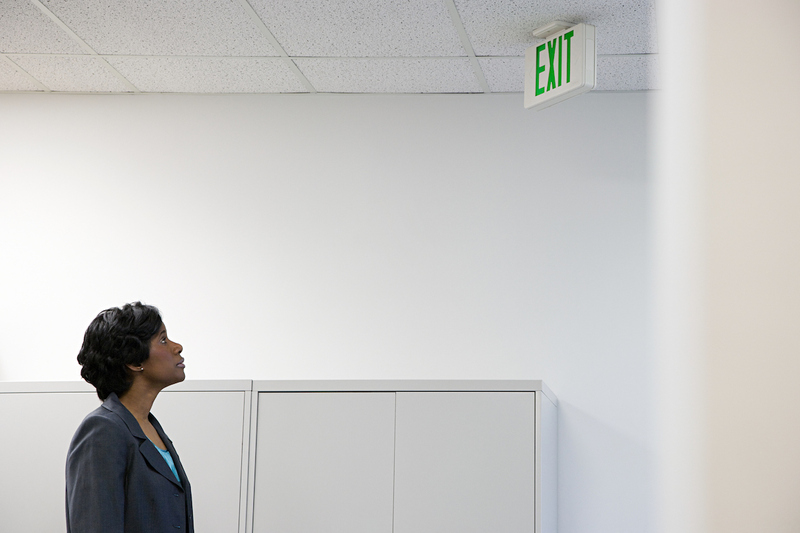 Having disliked and left every one of my dozens of jobs, I’m a job-quitting expert. Your Turn: If you have a crappy job, how do you make it tolerable?